Google Adwords, often called PPC, is a system that allows ads for your business to appear at the top of the page when people do keywords searches. We do research to identify the keywords that people use to find your business. Then we write compelling ads that prompt people to click to your website as opposed to your competitors. A PPC campaign along with a well optimized website will capture the most traffic possible. Target Marketing Solutions is Google Adwords certified company. We will guide you through the maze of pay-per-click (PPC) marketing options to define and manage the best Adwords campaign possible to meet your goals. We've used PPC from its inception for our clients and have the knowledge to attain whatever your goals are: increased sales and leads, branding, sign-ups, closed deals, etc. 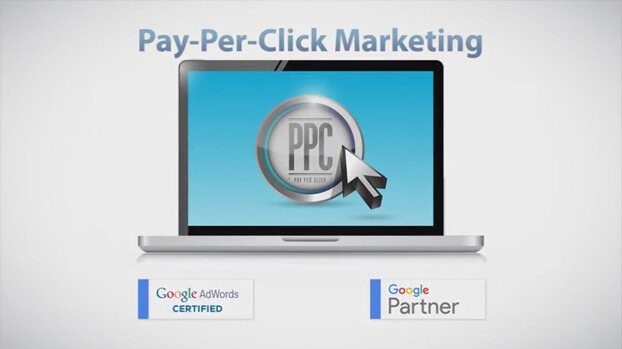 PPC is highly effective, highly targeted, highly profitable. Further down this page, you can view some of our PPC management client results and the benefits of having us manage your Adwords campaign. A Google Adwords Certified company means that we passed a series of Google tests geared towards measuring our expertise in creating and managing pay-per-click campaigns. A Google Partner is an agency that has a) passed Google competency tests, b) has also managed a high dollar amount of ppc campaigns, and c) has meet Google standards for optimum Adwords campaign performance. In order to maintain Adwords Certification and Google Partner status, our staff must re-take and pass the competency tests each year, and continue to meet and exceed Google Partner and Adwords designated standards. We use industry best practices to manage PPC campaigns and focus on helping you get the most out of your internet marketing budget. 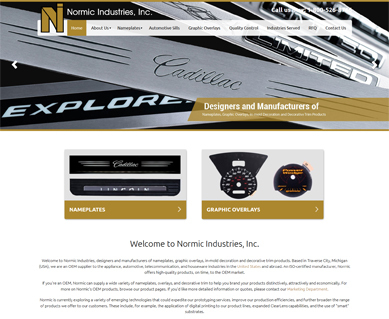 We stay ahead of the curve by working directly with Google, with access to trainings and product updates. Target Marketing Solutions - staying on top of what’s going on with Google. You'll get comprehensive monthly pay-per-click campaign reports showing you which keywords brought traffic to your site, the cost per click, the ads with the most effective content, and which contacts converted into sales for your business. Everything is data-driven and outcomes are quantifiable. 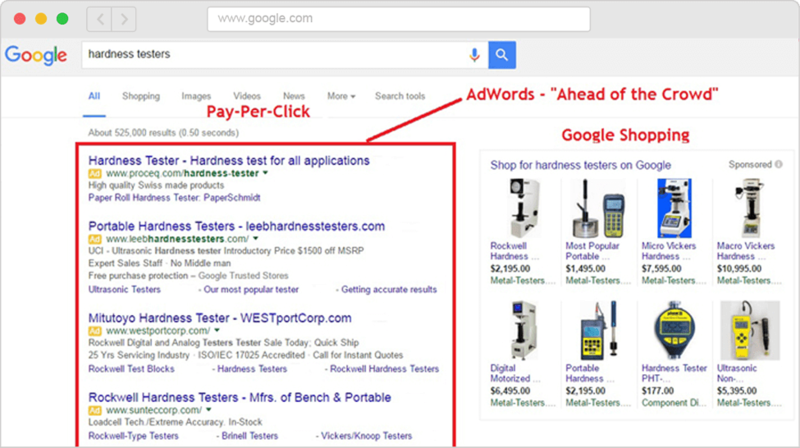 You will see exactly how much return on investment you received from your Adwords campaign. The data will also show us additional keywords that could convert and bring you more business. There is no guessing. 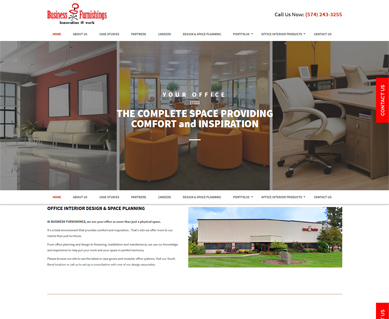 View our client PPC Client Outcome Successes. ....the Target Marketing team has been the most effective driver of new customers to our website, Since our affiliation with TMS...our online presence has grown tenfold!" 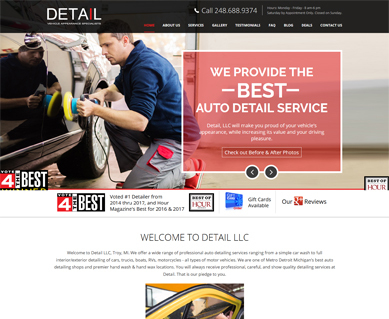 The two new websites that were prepared for us with the pay-per-click are fantastic. In the first four months of website operation, we have taken on more new accounts than we have in total for the past two years and with significantly higher dollar sales." As a result, our sales are increasing substantially ...Internet advertising is the MOST EFFECTIVE AND MOST EFFICIENT marketing tool ...Target Marketing Solutions has really made a significant impact on our Huron Technologies' growth." We're available for an in-person, no obligation first meeting in all of Michigan including, the Metro Detroit area, Lansing, MI, Grand Rapids, MI, Ann Arbor, MI, Flint, MI, Port Huron, MI, Troy, MI, Kalamazoo, MI, Battle Creek, Holland, MI, Jackson, MI, Saginaw, Bay City, Monroe, MI, Bay City, Midland, MI Traverse City, Alpena, MI, and Gaylord areas. Serving all of the United States.